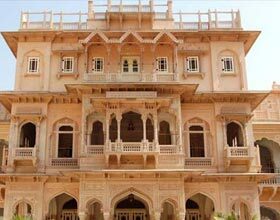 Address: Kacherwala, Kukas, Jaipur, Rajasthan 302028 India. 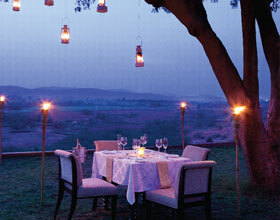 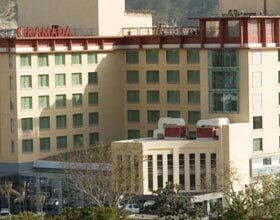 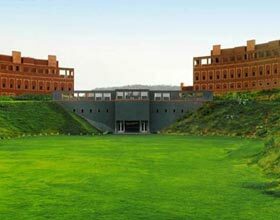 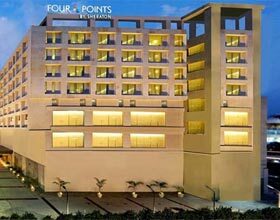 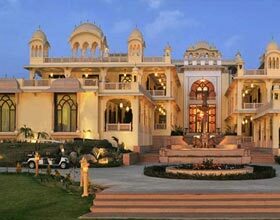 Tree of Life Resort & Spa, Jaipur is a grandiose resort nested amidst the lush greens along the foot hills of Aravallis. 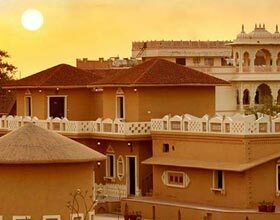 The traditional Rajasthani-styled villas interconnected by alleys resemble a royal hamlet or a bijou Rajput kingdom. 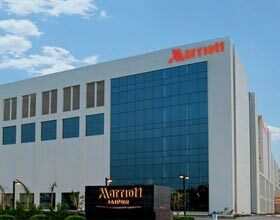 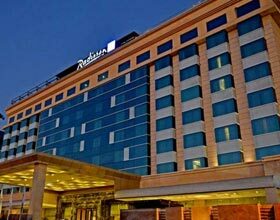 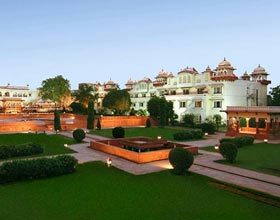 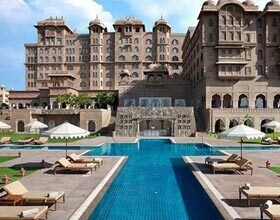 This luxurious resort is a nirvana away from chaotic city life of Jaipur with immaculate amalgamation of serene interiors singing saga's of age's old rich Rajasthani culture and splendid modish scintilla. 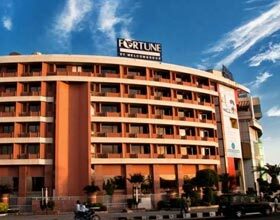 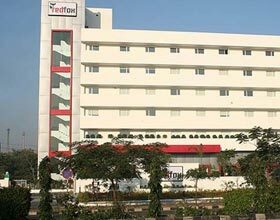 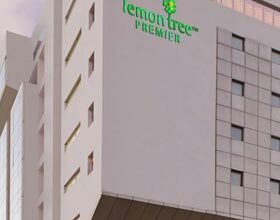 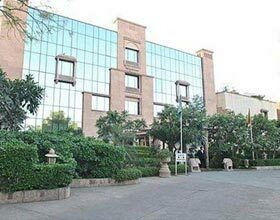 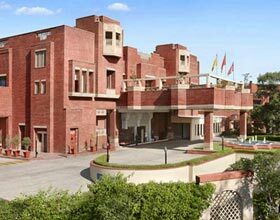 All premises of Tree of Life Resort & Spa in Jaipur are named after a tree and interiors are shaded with color of flower the respective tree bears. 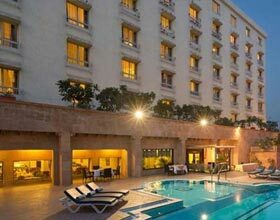 Guests relish resort's exclusive bar with finest collections of books as an ideal venue to unwind themselves after jubilations of the day. 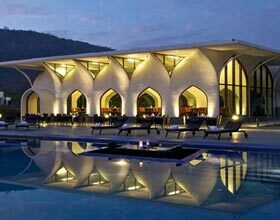 Resuscitating wellness centers include Ekam Spa having sauna and steam facilities, traditional step well styled swimming pools, starlit patios and well equipped gymnasiums. 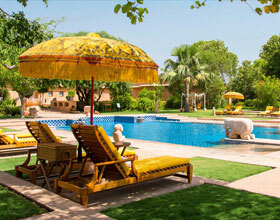 Venturesome excursions and recreational activities add zing to the agendas for the day. 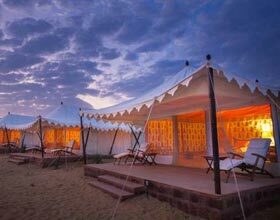 Explore the green foothills on the Rajasthan's royal ride elephant decorated with vibrant colors or cherish the awe-inspiring moments in the blissful aura of on-site temple Ganesh Abode. 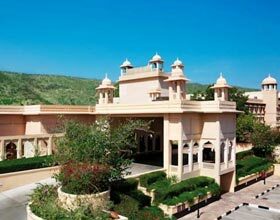 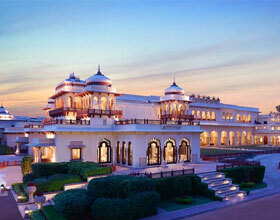 Tree of Life Resort & Spa Jaipur has 14 majestic independent villas with all contemporary facilities. 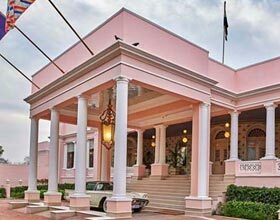 Enchanting the beauty of these resplendent accommodations are exclusive outdoor amenities including private couple spa, sunken tub and lip shower. 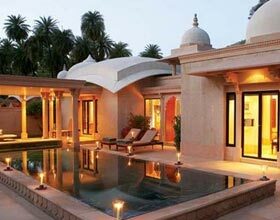 All villas overlooks into private swimming pools or gardens and subtly classified based on vista and accommodation size. 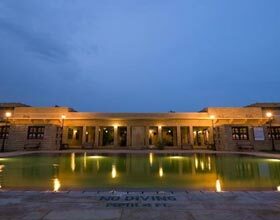 Lodging in these chic- style villas with traditional tinge evinced in comfortable classic furnishings is a mesmerizing experience for all the guests. 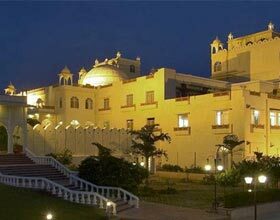 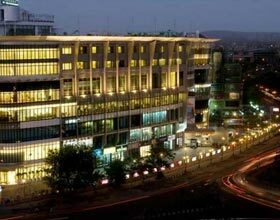 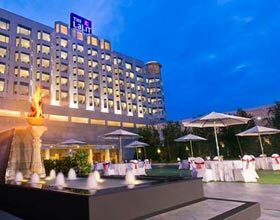 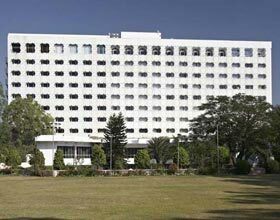 Dining at Tree of Life Resort & Spa Jaipur, a Luxury hotel in Jaipur is an exquisite voyage to the finest savors from all regional and global fares. 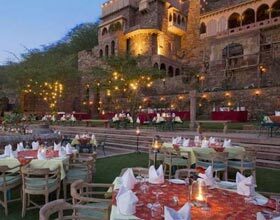 Chefs of this opulent resort serve each guest with the choicest delicacies varying from vibrant flavors of Rajasthan to diverse array of cuisines from different states of India or from divergent cities of the world. 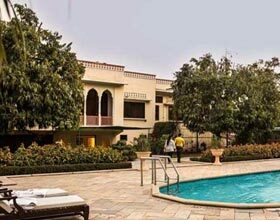 Tree of Life Resort in Jaipur boasts of its on-site organic garden, Elegant Garden, used by chefs for fresh indigenous herbs and vegetables for preparation of fresh salads.